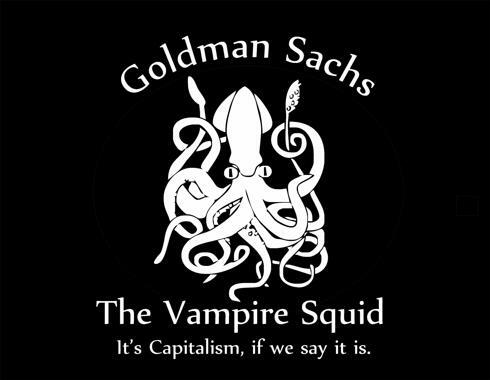 Should You Believe The Vampire Squid On Gold? I find it fascinating the mainstream corporate media and Wall Street shysters spend SO MUCH time talking down gold and spending an inordinate amount of electronic ink trying to convince the masses that only nutjobs would buy it. I believe less than 2% of people have gold in their investment portfolio, so why the endless articles bashing it? The suppression of gold prices through the paper market since 2011 by the Fed and their Wall Street bank co-conspirators has thus far been successful, but it is fraying at the edges as China continues to accumulate physical gold and pushing the ponzi scheme towards its inevitable conclusion. Soaring gold prices tells the masses central bankers are a fraud, that’s why they are desperate to keep the price capped. With zero and negative interest rates throughout the world, gold should be skyrocketing. It is showing signs of calling the central banker bluff. Jesse’s comments below should be heeded. The stock market dead cat bounce and the holiday manipulation of gold down $30 will fail. Goldman analyst Jeffrey Currie came out this morning with a ‘sell gold’ recommendation for Ma and Pa Muppet. I was fortunate enough to hear his explanation for this in his own words on Bloomberg TV, which had touted his gold call about every fifteen minutes all day. The net summary of Mr. Currie’s forecast is that Goldman’s economists think that there ought to be no fear in the financial paper markets, since there is an historically low chance of a recession, less than fifteen percent, and he sees no real possibility of negative interest rates. Therefore, since in his mind gold is strictly a ‘fear trade’ and since Goldman says to have no fear one ought to therefore sell gold. As for my own forecasts, I see the world economy fraying substantially throughout the year, with the domestic risk of inflation unusually high relatively speaking, and the geopolitical risks to be also rather elevated. But at the end of the day, gold is now trading as a currency, and Uncle Buck was on a no fear tear this morning. And no matter what Mr. Currie may be saying, I am watching what Asia is doing. So far so good on the charts as noted below. It may be a bit of time before one might determine whether the lip of the cup is straight horizontal or slanted IF the chart continues to develop. There was very little action at The Bucket Shop on the PM delivery front, and some silver was shoved around the plate and taken out of the warehouses. Not much happened in other words. What a surprise. The Bucket Shop is a monumental mausoleum for what has gone wrong in the US markets. If there is a lesson from the Big Short, do the opposite of what Goldman says to do.